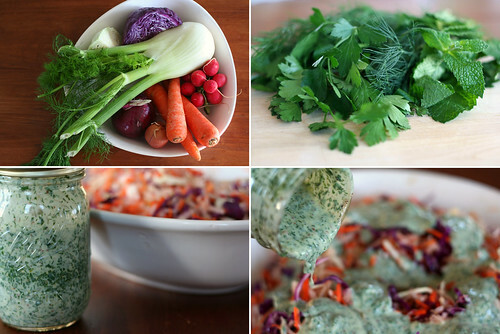 You’d think a blog with the word salad in its title might occasionally feature a salad recipe. In the case of this blog, you’d be wrong. 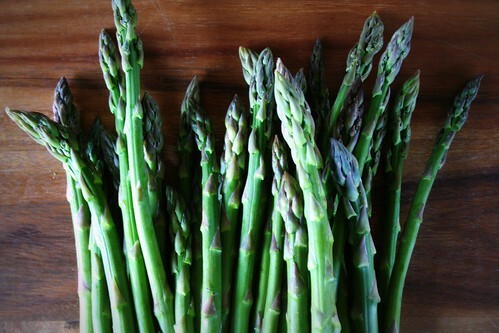 To date, When Harry Met Salad features only one recipe for salad, a late spring salad that also highlights asparagus. 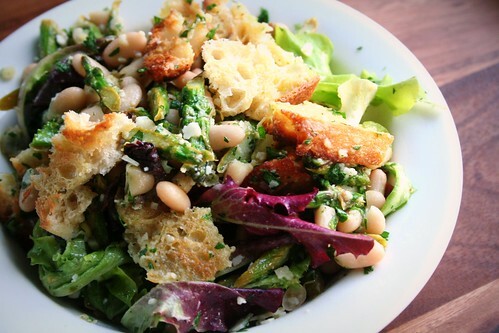 The truth is we don’t eat much salad worth mentioning. Chris doesn’t like it (!!!) and I generally can’t be bothered to do much more than dress greens with vinaigrette for just me. 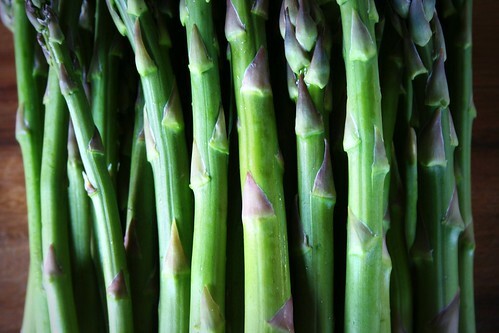 But last weekend I fanned my farmers market purchases out over the dining room table and arranged them to photograph. I nestled a bunch of tiny pink radishes in alongside bright green stalks of asparagus and admired the graceful curve and deep purple-greenness of wild mint, and when I looked through the viewfinder of my camera I immediately thought salad. This is that salad. I sliced the radishes and asparagus into coins and drizzled them with olive oil, lemon juice, and a little honey. Then I tossed in a handful of chopped mint, seasoned the vegetables with salt and white pepper, and carefully folded in crumbled bits of incredibly creamy local feta. And because I was also in the middle of a chive blossom vinegar project, I finished the whole thing off with a smattering of chive blossoms. Sometimes I get a little carried away. “Hmmm, that looks like something I wouldn’t like,” Chris observed when I emerged, crunching, from the kitchen. And it’s true: he wouldn’t. But you might. 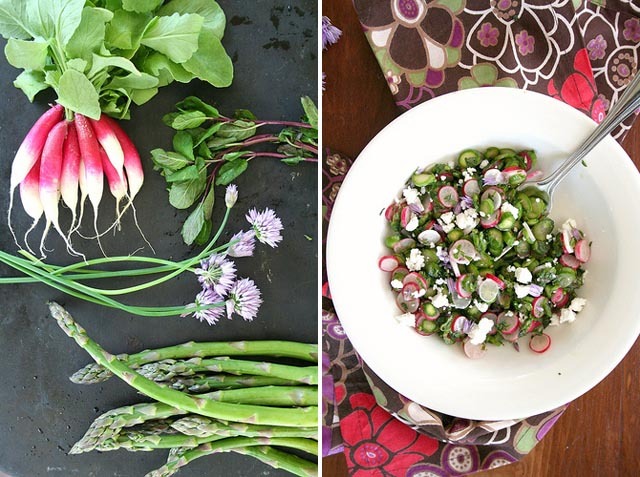 With or without the chive blossoms, this salad is really lovely. 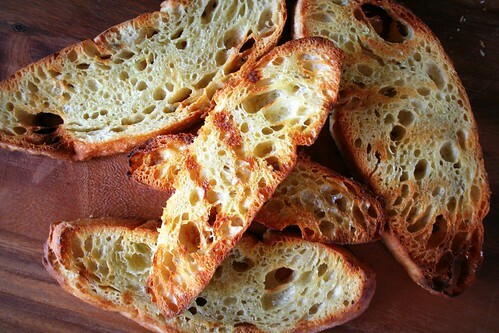 It’s fresh and crisp and pleasantly vegetal. 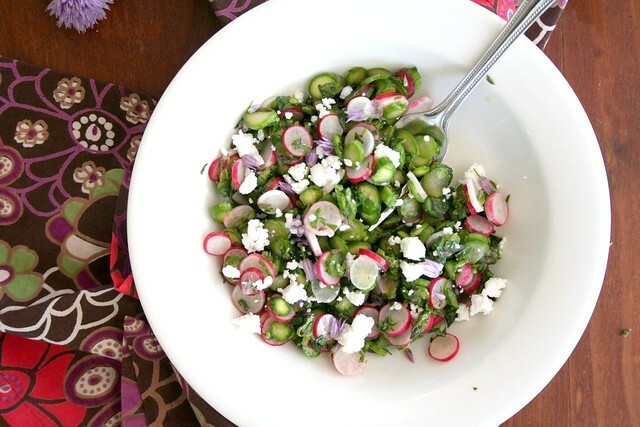 The sharp, peppery flavor of the radishes and the tender greenness of the raw asparagus mingle with the sweet, aromatic notes of mint, and all this bright freshness is beautifully balanced by the creamy tang of goat’s milk feta. It’s a salad that’s delicious in its simplicity, a salad that captures the fleeting flavors of early summer and hints at the bounty yet to come, a salad that’s totally worth making for just you. 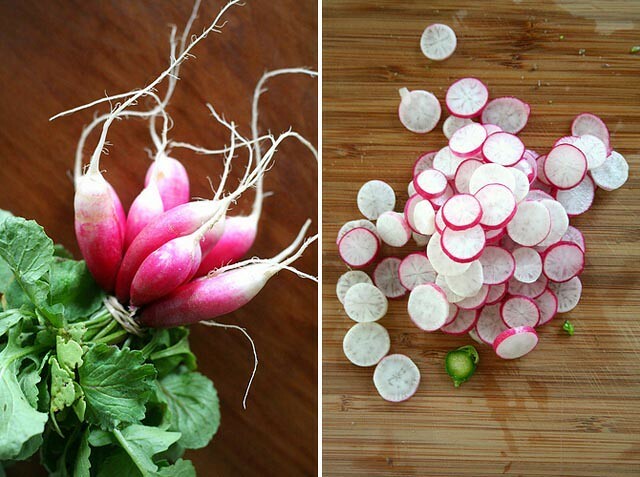 Slice the asparagus and radishes into thin coins or discs, slicing as thinly as you can. 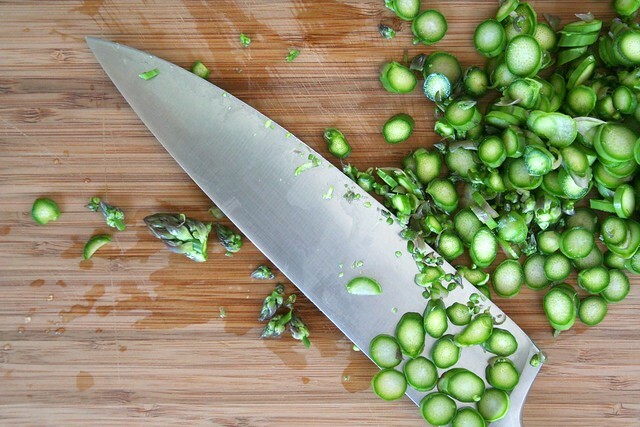 (I tried this with both a mandoline and a knife — the knife was actually faster and easier.) Transfer to medium bowl and drizzle the olive oil, lemon juice and honey over the vegetables; stir to combine. Fold in mint and feta; season with salt and pepper to taste. If using the chive blossoms to garnish, separate the individual florets from the large blossom and scatter over the salad. Serve immediately. Whenever I’m called upon to feed a crowd my thoughts turn to slaw. 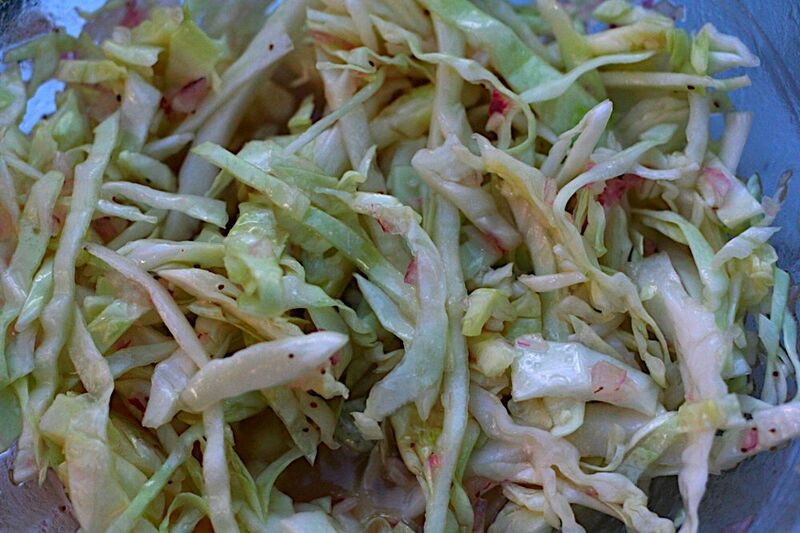 Truth be told, my thoughts turn to slaw — with its delightful crispy, crunchy freshness — far more frequently than any social engagements require, but the point here is that slaw is the perfect thing to take along to a picnic or a potluck or any sort of food-related festivity. 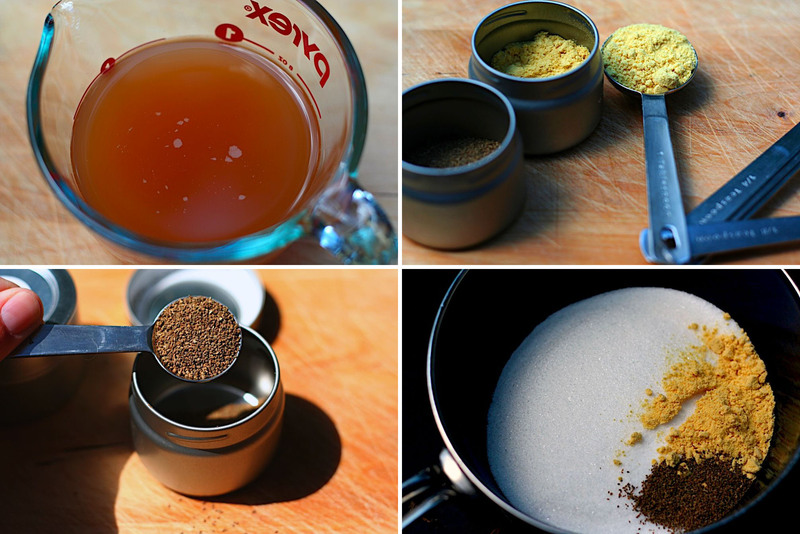 It’s easy, inexpensive, and it can be made from whatever vegetables happen to be in season. Although it’s a great do-ahead dish because the longer it sits (within reason) the more the flavors blend, it can just as easily be thrown together at the last minute for an impromptu gathering without sacrificing a great deal of yumminess. 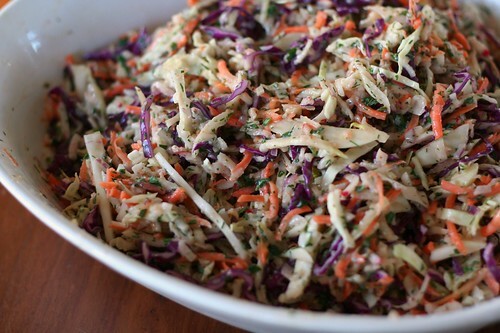 Plus slaw looks pretty, tastes fabulous, and is a hell of a lot better for you than pigs in a blanket. In fact, I whipped some up earlier in anticipation of Academy Awards revelry. There are many fine uses for mayonnaise, but coleslaw dressing ain’t one of ’em. Actually, it’s possible that somebody somewhere makes a decent mayo-based slaw, but that mound of gloppy white mush masquerading as coleslaw in deli departments and dive bars across the land? Kill me now. What you want is a light, tangy dressing that clings ever-so-slightly to the slaw, a dressing whose flavor gradually seeps into every pore of the cabbage without diminishing its crispy, crunchy goodness. What you want is vinegar.